Molly’s eventual resignation that Rex is no longer her pet is both poignant and curiously reassuring. With Rex back amongst his own kind, harmony is restored on the farm and Molly realises that some things are best left where they belong. Gifford’s text chimes with humour and echoes the typical mindset of a small child making tough emotional decisions on her own. Playful illustrations depict ‘puppy’ Rex, grabbing attention and filling each page with doggie-like exuberance. I love the nuances of friendship, discovery, belonging, acceptance, and imagination Gifford manages to weave into this entertaining and completely engaging story. Ideal for anyone over the age of three with a penchant for unusual pets. Pugs may not wear pyjamas but in Ellie’s case, they do as Tom discovers during a visit with his Aunt Roz. Ellie is plump and slightly pretentious. She savours attention and wearing the odd sunhat to the beach. She is not adverse to a bit of park play and adventure either and relishes all the fussing her extravagance demands. Although dubious of her at first, Tom soon warms to her pleasure-seeking ways and accompanies her everywhere. However, it becomes increasingly apparent to him that although Ellie is strange, she has no trouble making friends unlike Tom who does not have any friends at all. After nearly losing his new canine companion, Tom realises that Ellie’s jaunty individuality is what makes her so endearing and comes to accept her for the pug that she is, quirks and all. 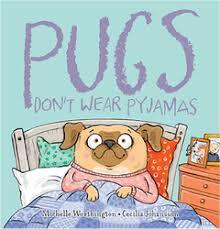 Pugs Don’t Wear Pyjamas is an absorbing tale about friendship and acceptance. It touches on the requirements of pet care and being active to live life to the fullest and is sure to win the hearts of pre-schoolers up to the age of six who are at the height of their pet-requiring lives. Remember those, ‘Can I have that guinea pig, now!’ demands? This beautifully illustrated picture book is a fun, colourful compendium of puppy care that although non-fictional by nature, has an energetic storybook feel to it. Postmodern in style, it addresses the reader directly congratulating them on their new puppy. This is cause for sparkly celebration however dog ownership does not come without a few simple rules, as readers soon discover. 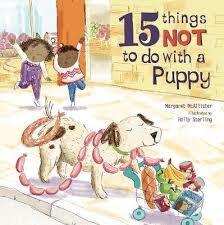 Rules like no hang-gliding with your puppy, or feeding them cabbage (especially straight from the garden). It’s best not to allow your puppy to ‘juggle with the washing up’ either if you are after a tranquil relationship with your pet. McAllister doesn’t just dwell on the DON’TS though. Plenty of DOS balance the ledger of care, as well. These involve the fun cuddly things but also offer genuine valuable advice about such requirements as food and water, with every bit of gentle instruction leading to the most important outcome of all, becoming best friends with your pup. Without an ounce of dry didactic direction, McAllister and Sterling give children from three years plus sound concrete facts and realisms about canine care and companionship cloaked in sublime comical colour. This is the inspirational story of two lives touched and forever changed by their convergence. It is a dog’s story of hope and uncertainty paralleled with the story of Jessica, a young recently disabled girl also beset by anxieties and fear. Jessica is worried about her future following a life-altering incident. She is no longer able to walk properly after the amputation of her leg and she is concerned that her shortcomings will let others down. Rescue, is a dog destined to serve however his life takes a turn when he is trained as a Service Dog instead of a Seeing Eye Dog as he expected. He is afraid he will not be any good as a Service Dog and frets about letting anyone down, as well. 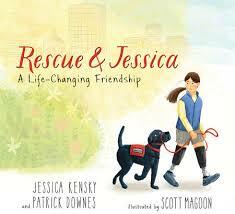 When Jessica and Rescue finally unite, all their worries melt away. They not only learn to work well together, they become inseparable, each indispensable to the other. This story is sure to please dog-lovers but it is also a story of triumph and resilience, of shared fears and ultimately a love that inspires and uplifts. It is a story about rescuing each other. In 2013, Jessica Kensky and her partner, Patrick Downes were injured in the Boston Marathon bombing. They both became amputees. Then along came a black Labrador named, Rescue and their lives brightened once again. This picture book, brought to vivid life with the help of Magoon’s stunning illustrations, takes young readers on a heartening journey of friendship, tenacity and salvation in way that is both thoughtful and remarkably relatable. We all suffer from doubts and fears at times, however the enigmatic power animals possess to admonish feelings of poor self-worth and anxiety is truly something to marvel. 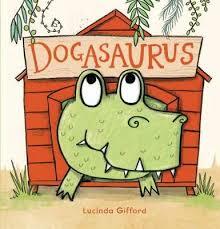 Highly recommended for classroom reading and sharing at home with primary aged readers and above.